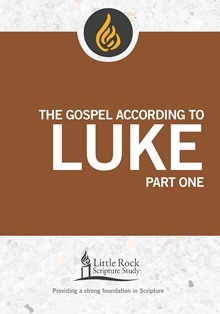 The Gospel of Luke demonstrates the universal nature of Jesus' mission and the compassion of God. Part One of this study includes Luke 1:1—11:54, taking the reader from the infancy narratives of John the Baptist and Jesus to their births and then to the Galilean ministry of Jesus. Commentary, study and reflection questions, prayers and access to recorded lectures are included. 6 sessions.